I am rejoining my old "10 on 10" group from 2013 this month. Yeah, I know this is not a "10 on 10" as I have posted about 100 images but be sure to follow the circle and see what the other girls are up to....next up is Melissa Weicker (who I adore). This family? They came from sunny SoCal for this session. Utah is the second driest state in the nation but in May we hardly saw the sun come out. The weekend this family was here the forecast was BLEAK. I was honestly wondering if we would be able to shoot at all. It rained ALL day on this day...and then about 4:00 the sun came out and stayed out until we were done when it started pouring rain again. I guess some things were meant to be and I am SO happy it worked out like it did. Last month I went to Palm Springs for SEE and I got the opportunity to photograph this family in Joshua Tree. You know those families that you meet and they just ooze love for one another? Not in an obnoxious or cheesy way but in a way that you can tell they just genuinely enjoy being around one another? That was this family to the core. I'm sure every photographer writes in their blog posts that they wanted to take the kids home with them but in this case I can say that and genuinely mean it. By the end of this short time I had with this family they even referred to me as "like a sister who is just really old". I had SO much fun with this family and I think these images show that! Last month I went to SEE Palm Springs. I had the opportunity to photograph this family in Joshua Tree for about 10 minutes in some sun that was a bit brighter than I wish it would have been. I am not a photographer that generally shoots in such short amounts of time as I find it hard to get the the heart of the family connections BUT I am pretty happy with what we accomplished in a short 10 minutes. This family made it easy. I only wish I would have had some more time with them. P.S. If you want to learn more about freelensing HERE is the best guide I've come across put together by two gals who are masters at freelensing. Man, I need to blog more. I think because I post almost daily with my 365/730 project, I forget that this blog need attention too. Be sure to head on over to see what Ali Deck is up to (she is pretty awesome) and then follow the circle though. It so crazy to think that we started this group back at the start of 2013. TIME FLIES! A couple weeks ago my little guy stayed home sick with croup. We were both a little stir crazy cooped up in the house so we jumped in the car to go on a drive. I really had no intention of getting out of the car but when we got up here and I saw this beauty, I couldn't really help myself. He was begging to get out too.We had some warm gear in the trunk that I never unloaded from sledding a few days before so I let my sick kid get out of the car and run around in the 20 degree mountain air. Cold air is good for croup anyway right? We had a great time and the last shot is a selfie I took of the two of us by propping the camera up on a rock. Pretty glad it did that. 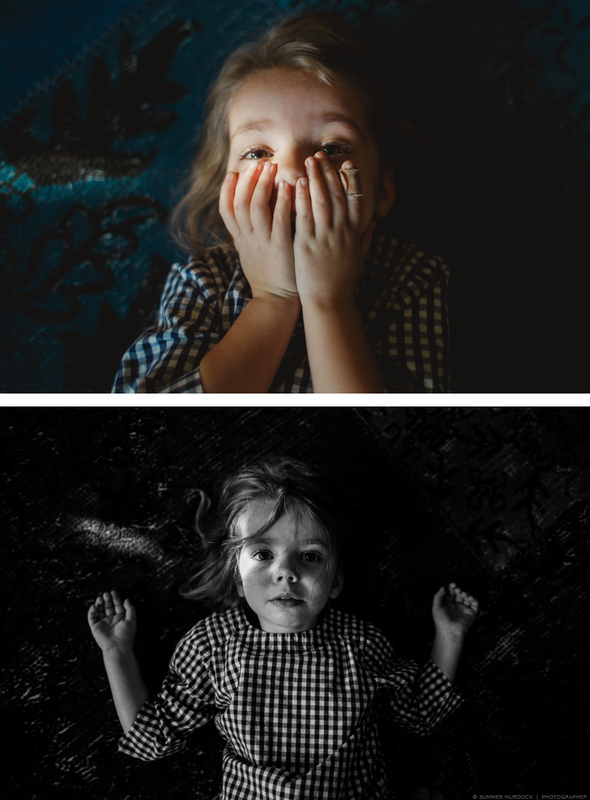 A couple weeks ago I shared this series over on the 5 minute project blog where I contribute regularly. I am sorta in love with these moments between these two so I wanted to make sure I blogged there here too.I mean how could I not want these here too right? I had a GREAT time with this family...and hopefully that shows in the images. The weather got a bit cold but these kids were troopers. Mom is a photographer...which is a serious honor to know she chose me to capture her family. We went to Southern California last week for fall break. Needless to say, it didn't feel much like fall there. We go to the beach often considering how far it from us. I love the ocean so much. I lived right here for the first 5 years or so of my life. The beach was literally my front yard. I spent a lot of time in the ocean every summer of my life as a kid. Even after we moved away, my mom made sure we spent some time there every summer. I would spend hours just bobbing in the waves and diving under them. This past trip was a big one for my oldest girl. She got the courage to go out in the big waves past her knees. She got to experience that freeing yet humbling feeling that comes from being out in the huge and vast ocean. She was giddy and kept telling me how fun it was and wondered why she had been so scared before. It was a full circle moment for me to be able to be out there and experience this with her...and I love that I was able to have my camera with me. This month I give you "what her first time out in the big California surf looks like". And true to form, the powerful ocean flexed it's muscles for her. A big wave tumbled her to the bottom and she got a battle scar on her cheek to prove it. She was a bit self conscious of it but I kept telling her how cool it was to have proof she did something brave (and that it would go away). An aspen grove is a sight to see in the fall....and Utah kills me with it's beauty. Be sure to head over to the 5 minute project to see what has been going on there. It's always super flattering when people spend a bit of time with me while they are on vacation. These two were here from Seattle and we got to spend a bit of time up in the gorgeous Utah mountains. It was really fun to do a mommy daughter shoot! So about two weeks ago I attended and taught at Click Away here in Salt Lake City. I enjoyed myself more than I even imagined I would. One of my jobs there was to do a live shooting demo for a very small group of ladies. Kirsty Larmour's cute, funny, smart, and well traveled girls were my models (lucky me). I was thrilled to meet Kirsty as I have admired her and her work for a long time. I will say that this particular shoot was OUT OF MY COMFORT ZONE in pretty much every way possible. I'll list the reasons why: 1. It was at 3:30 in the afternoon. YIKES. For a photographer who is very inspired by light, this is tough. I mean I shoot my own kids in full sun all the time but I NEVER schedule clients this time of day. 2. We were shooting in a urban setting. I generally shoot in more rural, wide open spaces. I do this because I don't live in the city and because I like kids to be able to roam and play a bit. On this shoot we were constantly dodging cars in parking lots. For me that makes it hard to relax. 3. I was trying to connect with these gorgeous girls and do what I normally do during a shoot but I had a group of fabulous photographers watching me. It was HARD to connect with my subjects while trying to explain what I was doing and seeing....and when I say hard I mean really, really hard. I also always tell myself that if something scares me, it's probably a sign I need to do it and I'll learn something from it. This shoot was no exception. I pushed through all kinds of fears this particular weekend at Click Away...and laughed so hard I snorted but maybe I should leave that for another post. I decided I'd make a sideshow of this months 5 minute project to one of my very favorite songs...just because. So be sure to turn up the volume REALLY loud because this song is out of this world good and good songs sound better loud!